The United Nations Statistics Division (UNSD) is organizing an Expert Group Meeting on the Guidelines and Principles for the Development of Disability Statistics in New York on 12-14 July 2017. The main objective of the Expert Group Meeting is to initiate the revision of the UN Guidelines and Principles for the Development of Disability Statistics (https://unstats.un.org/unsd/publications/catalogue?selectID=269)- The revision with take into account the context of the Convention on the Rights of Persons with Disabilities and the 2030 Agenda for Sustainable Development and provide guidance to countries on how to produce statistics on disability so as to better meet demands for good quality data for measuring and monitoring progress towards inclusion of persons with disabilities in development programmes. The United Nations Statistics Division (UNSD), in collaboration with the United Nations Economic and Social Commission for Asia and the Pacific (UNESCAP) organized the Sub-Regional Meeting whose purpose was to compile and share national experiences in approaches taken to measure the population with disabilities during national censuses of the 2010 round, and to discuss compilation of data on disability for monitoring of Sustainable Development Goals. The UN Statistics Division, in collaboration with the Economic and Social Commission for Western Asia (ESCWA), and the National Centre for Statistics and Information of Oman organized the meeting with the following objectives: (i) to review and discuss national experiences, including challenges faced and lessons learned, to measure the population with disabilities during censuses of the 2010 round; (ii) to provide an opportunity to discuss strategies for compilation of data on disability for the monitoring of Sustainable Development Goals; and (iii) to foster intra-regional cooperation aimed at enhancing national capacity in disability measurement and improving the quality of data for monitoring the SDGs. The United Nations Statistics Division (UNSD), in collaboration with the United Nations Economic and Social Commission for Western Asia (ESCWA) and the National Centre for Statistics and Information (NCSI) of Oman, is organizing a Regional Meeting on Disability Measurement and Statistics in support of the 2030 Agenda for Sustainable Development and the 2020 World Population and Housing Census Programme for Arabic speaking countries. This meeting is part of a series of regional meetings being organised in different regions of the world. Its objective is to review and discuss national experiences, including challenges faced and lessons learned, to measure the population with disabilities during censuses of the 2010 round. The Regional Meeting will also provide an opportunity to discuss strategies for compilation of data on disability for the monitoring of Sustainable Development Goals. Furthermore, the Regional Meeting will foster intra-regional cooperation aimed at enhancing national capacity in disability measurement and improving the quality of data for monitoring the SDGs. The United Nations Statistics Division (UNSD), in collaboration with the African Center for Statistics of the United Nations Economic Commission for Africa (ACS-ECA) and the Uganda Bureau of Statistics, is organizing a Regional Meeting on Disability Measurement and Statistics in support of the 2030 Agenda for Sustainable Development and the 2020 World Population and Housing Census Programme for the African region. This meeting is part of a series of regional meetings being organised in different regions of the world. Its objective is to review and discuss national experiences, including challenges faced and lessons learned, to measure the population with disabilities during censuses of the 2010 round. The Regional Meeting will also provide an opportunity to discuss strategies for compilation of data on disability for the monitoring of Sustainable Development Goals. Furthermore, the Regional Meeting will foster intra-regional cooperation aimed at enhancing national capacity in disability measurement and improving the quality of data for monitoring the SDGs. The United Nations Statistics Division (UNSD), in collaboration with the Caribbean Community Secretariat (CARICOM), and the Barbados Statistical Services, is organizing a Regional Meeting on Disability Measurement and Statistics in support of the 2030 Agenda for Sustainable Development and the 2020 World Population and Housing Census Programme for Caribbean Countries. The objectives of the Regional Meeting are to review and discuss national experiences, including challenges faced and lessons learned, to measure the population with disabilities during censuses of the 2010 round. The Regional Meeting will also provide an opportunity to discuss strategies for compilation of data on disability for the monitoring of Sustainable Development Goals. Furthermore, the Regional Meeting will foster intra-regional cooperation aimed at enhancing national capacity in disability measurement and improving the quality of data for monitoring the SDGs. 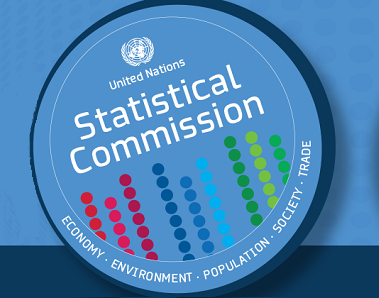 The United Nations Statistics Division, in collaboration with the United Nations Economic Commission for Asia and the Pacific, is organizing a Regional Meeting on Disability Measurement and Statistics in support of the 2030 Agenda for Sustainable Development and the 2020 World Population and Housing Census Programme. The objectives are to: (i) review and discuss national experiences in approaches taken to measure the population with disabilities during national censuses of the 2010 round; (ii) discuss strategies for compilation of data on disability for monitoring of Sustainable Development Goals particularly in the context of the regional Incheon Strategy, a framework regarding persons with disabilities in the Asia and Pacific region; and (iii) share national experiences among participating countries and foster intra-regional cooperation aimed at enhancing national capacity in disability measurement and improving the quality of data for monitoring of the SDGs. The overall objective of the Workshop was to strengthen national capabilities to produce, disseminate and use data on disability for policy development and implementation. To achieve this objective, the Workshop brought together producers and users of disability statistics to promote understanding of data collection issues and how to specify the required data for policy formulation. The specific objectives of the Workshop were to: 1. Initiate a dialogue between producers and users of disability statistics in the countries and the region; 2. Enable the exchange of information and experiences of the participating countries and/or organizations; 3. Review methodologies and instruments used in other countries to measure disability; 4. Discuss the use of the International Classification of Functioning, Disability and Health (ICF) as the conceptual framework for collecting and classifying data on disability; 5. Provide guidance on planning for the collection and utilization of policy relevant data on persons with disabilities. The meeting brought together a broad array of developed and developing country experts in disability measurement for statistical reporting:- Review and assess current status of methods used in population-based data collection activities to measure disability in national statistical systems. Particular attention was given to questionnaire design;- Develop recommendations and priorities to advance work on measurement of disability;- Contribute to building a network of institutions and experts, including producers and users of disability statistics to implement the developments in this field.